"MIH - MISSING IN HISTORY" is what Helen Zia (a prominent activist and book author) stated about the Asian/Asian Pacific American communities. She adds that "I've been struck time and again by how little is really known about us (Asian Pacific American communities) and the America we are part of; how the rich textures of who we are, why we are here, and what we bring to America remain so absent from the picture. But a community as large, diverse, and dynamic as the Asian American and Pacific Islander peoples cannot stay on the edge of obscurity, frustrated by images that have rendered us invisible and voiceless, while other American communities wonder why we are at the center of key issues of the day." The "History Overview" links provide a broad view of events that happens over a period of time. Upon the need to view a "year-to-year" breakdown of information that happened within a specific year, the "History Details" links will guide you to the requested detailed information on the subjects listed in the "History Overview" links. YURI KOCHIYAMA STATES "As long as we don't know our history and other's history, there will be no positive interactions or understanding." There is a great need to discover factual information that are not often disclosed in many of today's history books. 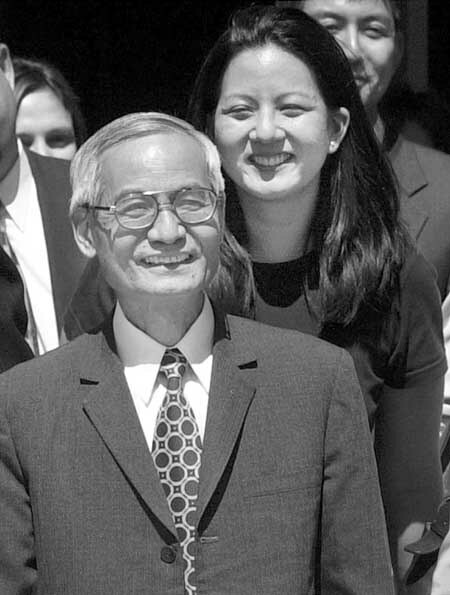 RONALD TAKAKI HAS STATED THAT "The history of Asian Americans offers all of us an opportunity to carry into the coming century a larger memory of American's past." Discover the many unfortunate and tragic circumstances directed at Dr. Wen Ho Lee. Dr. Lee, a patriotic American scientist born in Taiwan, had devoted almost his entire life to science and to helping improve U.S. defense capabilities. Suddenly he was accused of espionage by members of Congress and the national media and portrayed as the most dangerous traitor since the Rosenbergs. In December 1999, he was shackled, brought to jail and placed in a tiny solitary-confinement cell for 278 days before being released with all the charges dropped except one. His experiences brought to light how citizens can be incarcerated soley on government allegations and without factual justification. Examination of his past revealed that the FBI had infiltrated his provate life and spying on him for two decades. Judge Parker stated "I am sad that I was induced in December to order your detention, since by the terms of the plea agreement that frees you today without conditions, it becomes clear that the executive branch now concedes, or should concede, that it was not necessary to confine you last December (2001) or at any time before your trial." BETWEEN THE 1400's TO 1875, discover the "Naturalization Act" where only "free white persons" can become US citizens, Yung Wing (the first Chinese college graduate), Asian American soldiers in the Civil War and many other little-known facts. Click HERE for more information. BETWEEN 1875 AND 1899, the Page Law that barred entry of Asians was passed, laws that Chinese were not eligible for naturalized citizenship were in place, the first federal attempt to limit immigration by nationality was seen in the Chinese Exclusion Act, segregated schooling was evident in San Francisco's "Oriental School" and the Snake River Massacre were among the events that happened during this period of time. Click HERE for more info. IN THE YEARS BETWEEN 1900 TO 1909 the first Chinese American bank was formed, Chinese Exclusion Act extended an additional TEN years, witness Washington State barring Takuji Yamashita from practicing law solely because he was part of the "yellow race," the birth of Anna May Wong (acting pioneer), first Korean church in the United States and California law barring marriage between "Mongolians" and Whites occurred during that time. Click HERE for more info. 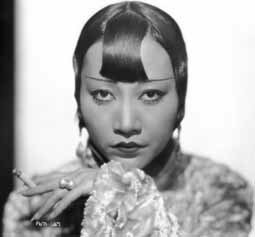 Anna May Wong - Entertainment pioneer often forgotten by the Asian Pacific American communities. EVENTS BETWEEN 1910 AND 1919 include the opening of Angel Island, the first medal of honor to an Asian American soldier, the birth of actor Philip Ahn, laws that prohibit land ownership for Asian Pacific Americans, I.M. Pei is born, a Korean American "Rice King" among many others. Click HERE for more details. IN THE 1920'S - George Shima was the "Potato King," the Cable Act stated that any American female who marries an "alien ineligible for citizenship" could lose her citizenship and Alien Land Laws declared "constitutional" were among some of things that happened during these years. Him Mark Lai (Dean of Chinese American Studies) was born in San Francisco (died in 2009). He recognized that understanding Cantonese and Mandarin is just as important as reading the English resources to get a more accurate pulse on the Chinese/Chinese American communities' history. Click HERE for additional information. THE 1930'S included events such as the start of Nisei Week, the birth of George Takei, Washington State trying to eliminate interracial marriages and the first All Chinese American professional basketball team - among many others. Click HERE for specific details. What do you see as the future direction of Chinese American history? acclaim Chinese American cinematographer who photographed more than 100 movies and won two Academy Awards. THE WAR YEARS OF THE 1940'S witnessed the following events - the Japanese internment camps, birth of Bruce Lee, formation of the Tiger Brigade, the Flying Tigers were well-known, the achievements of the 100th/442nd and Dr. Sammy Lee winning a Gold Medal were among situations occurred during these tumultuous times. Click HERE to discover the specific details. BETWEEN 1950 AND 1959, Alien Land Laws were repealed, there Chinese American Nobel Prize winners, Confession Program pardoned undocumented Chinese immigrants and the election of various Asian Pacific American politicians occurred - among many other events. Click HERE for additional information. THE 60'S saw the success of Flower Drum Song, Patsy Mink becomes the first Asian American Congresswoman, immigration quotas are eliminated, March Fong Eu is elected and other exciting events happened. Click HERE for additional information. IN THE 1970'S - Norman Mineta became the first Asian American mayor of a prominent American city, repeal of "Anti-Oriental" laws, Michael Chang (tennis player) is born, David Lee designed the daisy wheel, Lisa Ling is born, OCA is formed and the Don Ho Show is on ABC are among the many exciting events that happened during these years. Click HERE for additional information. IT ISN'T FAIR." These words were Vincent Chin's last before he lost consciousness. On June 19, 1982, Chin, a 27 year-old Chinese American, was beaten to death with a baseball bat in Detroit by two Caucasian men. The perpetrators were Ronald Ebens and Michael Nitz, who blamed Japanese carmakers for Detroit's problems in the auto industry. Ebens was heard saying, "It is because of you little motherf*ckers that we're out of work!" Click HERE for more info. He was the first Indian American to be elected to the US Congress. 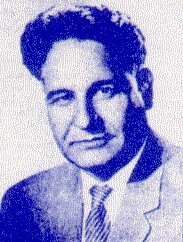 He was first elected in 1956 from 29th congressional district comprising of Riverside and Imperial Counties of California and was re-elected twice. He remains a beacon of hope and an example for many Indian Americans to succeed him. THE 1980'S saw the US Government recognizing the internment injustices, Maya Lin designing the Vietnam Memorial, the murder of Vincent Chin, Haing Ngor wins an Oscar and Monterey Park being recognized as the US's first surburban Chinatown are some of things that happened during these years, Click HERE for additional information. BETWEEN 1990 AND 1999, Wen Ho Lee was falsely imprisoned, May recognized as Asian Pacific American Month, Miss Saigon protests, Rodney King riots, various hate crimes, Margaret Cho's show on ABC, Gary Locke becomes the first Asian American governor of a Mainland state and Bill Lann Lee is appointed Assistant Attorney General are among some the events that happened, Click HERE for additional information. IN THE 21ST CENTURY, Click2Asia folds, aMagazine becomes another victim of Click2Asia's failures, AsiaWeek stops operating, Dong Kingman dies, Syngman Rhee becomes the Presbyterian Church's first Asian American moderator, Bush appointments of numerous Asian Pacific Americans in various cabinet positions and the 9/11 tragedy are some of the things that have occurred in the first decade of the 21st Century. Click HERE for additional information on the events that happened between the years of 2000 to 2004.